Our Bangkok City Hotel offers the perfect place for meeting in Bangkok, whether for leisure, corporate conferences or functions. 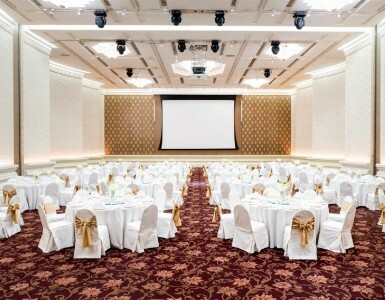 With 20 sophisticated and elegant meeting rooms, including 2 spacious ballrooms, our stunning hotel provides an ideal venue for both large and small scale events taking place in the vibrant city of Bangkok. We have professional teams in each specialized field that will ensure you are provided the best service throughout your event, from planning, preparation and set up through to welcoming guests and taking care of any last-minute requirements, along with debriefing after the event. We will provide you with an attractive package at attractive rates and you can be assured you won’t be alone in organizing your next meeting and event at Pullman Bangkok King Power. So, why should you hold your next meeting with us? Our meeting specialists are on hand to assist, anticipate and exceed your expectations for your special meeting in Bangkok with our tailor-made services. Our top-tier teams provide personalized and individualized support throughout the meeting in both practical and technical aspects to ensure one thing; the success of your event. The event managers, banqueting and IT solutions teams are the experts who provide you with superlative service to exceed your expectations, which includes cutting edge technology such as hi-speed wi-fi available throughout the meeting rooms, accommodation and public areas. We are only moments away from Victory Monument BTS station and Phaya Thai Airport Rail Link, making your meeting in Bangkok venue one of the most convenient to access. Clients can also take the complimentary tuk-tuk shuttle to and from the hotel; it is on standby at your service every 15 minutes in front of the hotel entrance and Century Mall. Offering perfect Bangkok meeting rooms for gatherings up to 50-100 guests (with a shared foyer), “The Second” is the perfect venue for business sessions or casual social get-togethers. Our new and unique meeting room concept “The Sixth” is located on the 6th floor and comes with its signature ‘Chill Out Space’ that links five meeting in Bangkok rooms together creatively with lively colours and an inviting daylight feature, making it the perfect area to have a memorable break after a meeting or a place to socialize over delicious cuisine. Also discover our two elegant, sophisticated and stylish ballrooms that can cater for up to 600 delegates. Both ballrooms offer the latest audio-visual systems to cater for any event and also have an exclusive pre-function space for guests. Pullman Bangkok King Power features award-winning restaurants and bars. 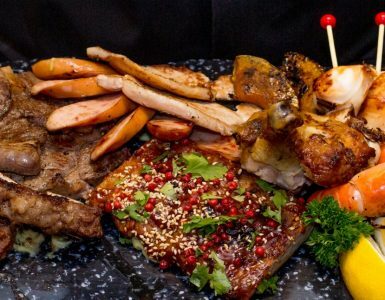 Therefore, we can offer our clients complete catering solutions, whether inside the hotel or at an external venue of your choice for private events, meetings, cocktails, gala dinners or even parties. We are eager to help you to organize every aspect of your event with ease and guarantee complete satisfaction for attendees with our delicious and enticing food and beverage options.